Climate change is expected to intensify droughts and other water-related challenges in many international river basins, making adaptive capacity building crucial. Sabine Blumstein summarises the findings of a report by adelphi that outlines different water policy tools used in many river basins to support climate change adaptation, but also explains a number of deficiencies. The new EU Global Strategy “Shared Vision, Common Action: A Stronger Europe” recognises the strategic importance of climate change. This is an important step to integrate climate diplomacy into the EU's overall foreign policy thinking, according to Stephan Wolters. The recent violence in South Sudan underscores the importance of continually applying conflict sensitivity at all stages of a conflict. Shreya Mitra outlines some of the key insights gained and lessons learned by International Alert that can help partners implementing projects in fragile contexts. While the political and legal battles over the Indus Waters Treaty continue to create headlines, there is another time bomb ticking beneath the surface. The treaty tends to disregard groundwater management and governance as well as environmental and climatic factors. Dhanasree Jayaram suggests much-needed reforms. The impacts of climate change are evident and governments at different levels have been framing policies in order to tackle them. However, a top-down approach dominates many such policies. 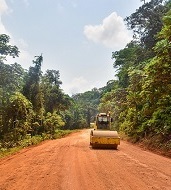 Project experience from Quito shows how stakeholders can be involved in practice. One fear of climate change is that more variable weather conditions will lead to violence and chaos in some places. But on methodical evaluation, do erratic weather conditions actually lead to violent conflict and political instability? Not necessarily, states adelphi’s Adrien Detges. Build Back Better: Disaster Management as an Opportunity for Gender Equality? Women are at the forefront of climate change, facing disproportionately high risks. The gendered impacts of climate change are particularly strong in the case of climate-induced disasters and are exacerbated in contexts of violent conflict, fragility and extreme poverty. But disaster management can also provide opportunities for women, according to Katharina Nett. Plastics have boosted our economy because they are versatile, cheap and durable. Yet, thanks to these same traits, we have also created a massive environmental problem. Nils Simos shows possible solutions through international governance. The UN Conference on Housing and Sustainable Urban Development (Habitat III) will be the third in a series that began in 1976. 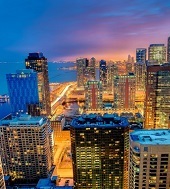 It brings together diverse urban actors such as governments, local authorities, civil society, the private sector, academic institutions and other interest groups to generate a renewed political commitment to sustainable urban development and a “New Urban Agenda” for the 21st century. 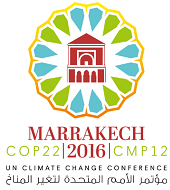 From 7-18 November 2016, adelphi’s experts on climate diplomacy, climate resilience, local climate action, and more, are in Marrakech for the COP22 discussions and key side-events. Together with the EU, the German Federal Foreign Office, NEPAD and other partners, adelphi convenes several side-events on climate diplomacy. 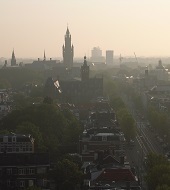 The Planetary Security Initiative (PSI) was launched by the Dutch Ministry of Foreign Affairs in 2015. A consortium of leading think tanks in the field operates the initiative to create joint understanding of the risks that climate change poses to human and international security. The initiative‘s annual conference brings together representatives of all levels of governance, academia, civil society, and the private sector to consolidate, deepen and widen the community of practice and facilitate cooperative responses. The ECC Factbook is an online tool presenting over 100 conflicts with an environmental dimension. Environmental and socio-political pressures might act as a destabilizing force in transboundary river basins, especially if institutional mechanisms in the form of treaties or basin organizations are weak. The Factbook’s latest cases show that signs of destabilisation are already visible in a number of transboundary river basins. 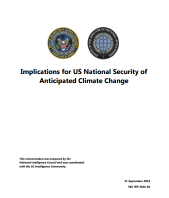 The National Intelligence Council recently published the report Implications for U.S. National Security of Anticipated Climate Change. The document names six ways of how climate change can threaten national security of the United States, e.g. by impacting stability of countries, affecting food prices or economic competitiveness. The Presidential Memorandum from 21 September 2016, that aims to integrate climate change into national security policies, is supported by the report’s findings. For background, also watch the interview on the topic by Marcus King, George Washington University. This infographic visualises how climate diplomacy can accelerate action around the world by highlighting opportunities of climate action across sectors – be it ministries for economy, finance, transport, energy and agriculture, or, of course the business community. Using cross-sectoral convening power and bilateral relations, diplomats can promote a better understanding of these opportunities beyond the environmental community. By sharing best practices and lessons learnt, more effective policies can be developed and therefore pave the way for more ambitious climate action. In this interview, Dr. Marcus King, John O. Rankin Associate Professor of International Affairs and Director of the Elliott School’s Master of Arts in International Affairs Program, George Washington University, discusses the role of water in the complex web of factors that eventually led to the war in Syria, describing what he calls a weaponisation of water in the conflict. King describes how ISIS uses water strategically to gain control over territory and people, hence finding that the water strategy is key to combating them. In this 2016 report, the expert authors examine the link between gender and the environment in order to promote gender-sensitive policies and actions. Inputs to the report were also given by major groups and international organizations. The report identifies gender inequality as one of the most urgent threats to sustainable development, emphasising that it needs actions that position women and men as equal agents. This briefing paper by Agriculture For Impact argues that to achieve the targets set out in the Malabo Declaration. It was adopted in 2014 with the aim to improve nutrition and food security across Africa and to increase agricultural productivity by 2025 while building resilience to the effects of climate change. African governments must support programmes that will contribute to strengthening smallholder farmers’ resilience and improving their livelihoods. This World Bank report looks at the impacts of climate change, which will be channelled primarily through the water cycle, with consequences that could be large and uneven across the globe. Water-related climate risks cascade through food, energy, urban and environmental systems. Growing populations, rising incomes and expanding cities will converge upon a world where the demand for water rises exponentially, while supply becomes more erratic and uncertain. This recent study by the Potsdam Institute for Climate Impact Research finds evidence that “risk of armed-conflict outbreak is enhanced by climate related disaster occurrence in ethnically fractionalized countries”. The authors state that while each conflict is the result of a very context-specific mixture of factors, natural disasters triggered by anthropogenic climate change might act as a threat multiplier. Editorial team: Johannes Ackva, Paola Adriázola, Alexander Carius, Daria Ivleva, Annika Kramer, Julia Melnikova, Benjamin Pohl, Lukas Rüttinger, Helen Sharp, Dennis Tänzler, Stephan Wolters. Editing by Anya Malhotra.